Salt, hydrolyzed soy protein, sugar, monosodium glutamate, water, beef fat, onion powder, dextrose, corn maltodextrin, hydrolyzed corn gluten, beef stock, natural beef flavor, hydrolyzed corn protein, soybean oil, hydrolyzed torula and brewers yeast protein, garlic powder, caramel color, beef extract, hydrolyzed wheat gluten, autolyzed yeast extract, natural flavors, partially hydrogenated soybean oil, disodium inosinate, disodium guanylate, lactic acid, silicon dioxide, calcium lactate (milk), tricalcium phosphate, propyl galiate, artificial beef flavor, tocopherol, butter fat, BHA, citric acid. The list includes three kinds of sugar and, although I don’t know what a lot of the chemicals are, I recognize at least nine euphemisms for MSG. Three soy products are listed and one is a partially hydrogenated oil. Beef stock doesn’t show up until number 11. It also contains gluten. Sound yummy? You could just add ½ teaspoon of salt a day to your food to correct an ion imbalance, but if you want the additional benefits of bone broth, you will have to make your own. It takes a while but it’s really easy. 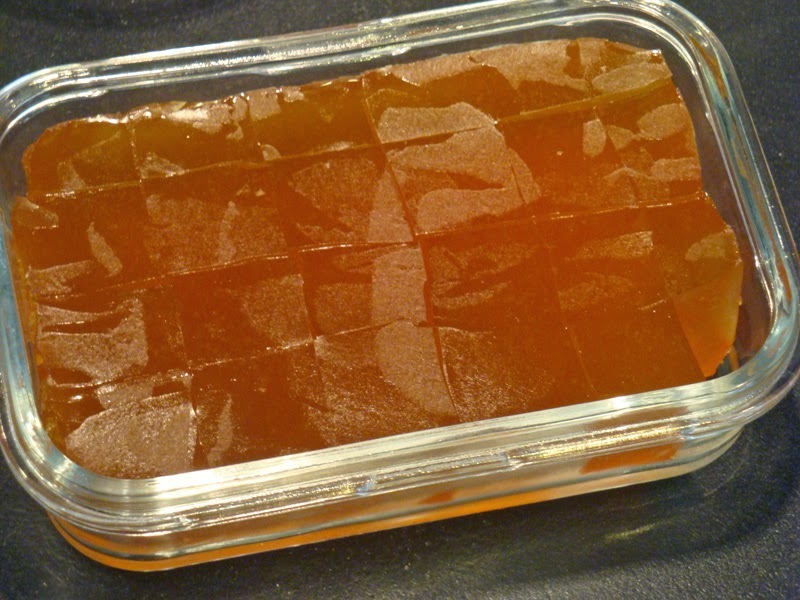 My recipe for Broth and Bouillon Cubes is here. Bone Broth, Bouillon Cubes. Bookmark. Yes, if I had all the time in the world, I would grow everything and make everything. Dr. Westman made this program available and Knorr's works for me. I do what I can, I think it's about progress and not perfection. If I had to wait to get everything right, I would still be overweight. I think you should encourage people as you also tell them everything you eat is not good for you. People need to know they can do this and be able to start, not wait until they can make everything in the best of situations. Knorr's worked for my issues and I have 134 lbs down, even with all of the terrible foods I read about. I am still the healthiest I have ever been in my life. Anonymous, I agree that we don't have to be perfect, but I still don't see why it is better to have even a small amount of a horrible food when just 1/2 teaspoon of salt will do the same thing without toxic ingredients. Congratulations on your success and thanks for the comment! Dear Judy: decades ago (more than 4)in my single days I experimented with many time-consuming recipes, among them making my own demi-glace. It was Julia Childs' recipe and a very long process but a worthwhile experiment with a delicious product as a result. I've never done it again, but the demi-glace was so delicious that after it gelled I ate it all, about one cup. It's too bad there isn't a quicker method that is reliable just as good (that I' aware of). Anonymous: it's easier for restaurants to make demi-glace since they have a constant supply of meat trimmings and bones to use. I wish some enterprising business person would recognize the potential market for bone broth and stock. It would probably be expensive though and perhaps there is not enough money to be made from the manufacture of real food. You are so right about stocks and don't get me started on those cubes! We just need to look for the best ingredients if we can't make it ourselves! You're one of MY heroes, and I so appreciate both your scientific method and your "cookly" POV, both. I'm going to think of ways to bring broth making into my life, busy as it is (as with others here), and thanks so much for both the reminder and the 'recipe'. Signed: Jude (proud to be a Geek and a Cook). Hi Jude. Thank you for the kind words; You made my day! Ingredients: with Other Natural Flavors Ingredients: Sugar, Potassium Chloride, Onion Powder, Maltodextrin, Monoammonium Glutamate, Gelatin, Beef Fat, Autolyzed Yeast, Silicon Dioxide (Anticaking Agent), Caramel Color, Spice, Disodium Inosinate and Disodium Guanylate, Dextrose, Flavoring. Ingredients: with Other Natural Flavors Ingredients: Sugar, Potassium Chloride, Onion Powder, Maltodextrin, Monoammonium Glutamate, Gelatin, Dextrose, Chicken Fat, Contains 2% or less of Silicon Dioxide (Anticaking Agent), Oleoresin of Turmeric (Color), Dehydrated Parsley, Natural Flavoring, Disodium Inosinate and Disodium Guanylate. Hi Lillian. Thanks for the additional info. I don't think this brand sounds any better than the one I mentioned. It lists sugar first instead of salt and it still has lots of MSG and chemicals and none of the nutrients in real broth or stock. I'd classify it as a "food-like substance." I feel the same way – those docs are my obesity fighting hero’s. I know in the course of a day I could drink enough bullion to kick me out of keto. I have a very low carb tolerance (20-30 g if I get enough exercise that day). I’m still going to try to find dry cubes that I can safely have bc I need something I can keep in the office, the gym bag, etc Love your blog!! Thanks for the comment, Anne T. Hawthorn! Let us know if you find a good one! I’m here because I just discovered this myself and organic ones seem to be even worse with maltodextrin. Can’t not resist the temptation to put sugar in everything? Hi Mike! There are some good ones for sale now but they are really expensive. One exception is Pacific brand. They sell bone broth in tetra packs at a reasonable price and I use it sometimes when I don’t have any on hand. I’m sure home-made is still better. Tonight I felt like a quick soup so I figured I would throw some store bought bouillon in with some veggies and meat but upon looking at the ingredients my immediate thought was “why the hell is there sugar in this product and what in gods name is all that other rubbish!!!”. So here I am, learning how to make bullion and sharing your dismay at the garbage these companies are putting into products. It pays to read the labels! Thanks for the comment, Rob.